Are Motorways The Road To Safety? If you want to stay safe on the roads, use routes on motorways or dual carriageways. That seems to be the conclusion of a report by the Road Safety Foundation. According to their statistics, 62% of deaths during their research period were on single carriage roads, while only 11% were on motorways and 12% on dual carriageways. Driving on a single carriageway is three times more risky than on a dual carriageway. 99% of motorways are rated as low risk while 97% of single carriageways are not. British road users pay 1% of GDP on motor insurance. The British economy loses more than 2% of GDP on road crashes. 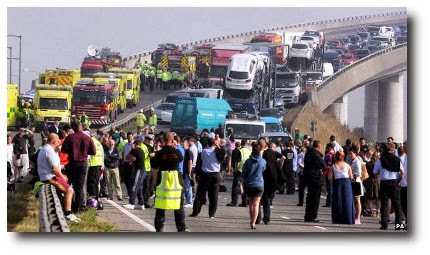 Yesterday’s multi-vehicle pile-up on the Sheppey Crossing, in Kent, rightly made the headlines across the country. Over 130 vehicles were involved in separate collisions and eight people were seriously injured whilst driving off the island, onto the mainland, in thick fog; it seems a miracle there were no fatalities. The official investigation is still ongoing, but it seems certain that excessive speed for the conditions, while driving too close and without lights, were major contributory factors. The foggy weather did not suddenly appear and the area of the collisions is well known for its changing visibility (the approach road is built upon marshland) – a fact, of which, locals are fully aware. Predictably, calls are now being made for speed restrictions or cameras on the bridge; matrix warning signs of hazardous conditions and better lighting. Ironically, none of these is likely to have been useful in preventing the collisions in yesterday’s thick fog. After all, if you don’t notice the fog it seems unlikely you will notice the warnings. What did appear to be in short supply is common sense and an awareness of the consequences of driving without due care. It seems it was a classic case of going too fast and getting nowhere! Are We Going Mellow On The Yellows? As a courier, there is nothing more frustrating than to arrive at your delivery point only to find it protected by double yellow lines, patrolled by wardens who wait in readiness to slap a fixed penalty notice on your windscreen, as soon as your vehicle has come to a halt. 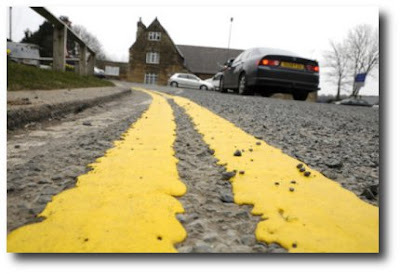 For business owners, yellow lines are a deterrent to their customers at a time when high street businesses are in desperate need of all the help they can get. Councils, of course, are the main beneficiaries of such restrictions. The associated fines have become a much needed source of income, helping to offset the recent decrease in local government grants. The official reasoning for yellow lines is that they promote free traffic flow and protect potentially dangerous parts of the road network. Most motorists, see them as being nothing more than revenue raisers. Now, however, it seems the government might be having a re-think. They are proposing changing the rules to allow a 15-minute ‘grace’ period allowing motorists to pop into local businesses before they get hassled by the wardens. This, they argue, would help to rejuvenate our high streets and save them from further decline. For delivery drivers, it will (space permitting), mean we can safely park close to our clients’ premises, with enough time to complete our business, without having to worry about the sudden appearance of the dreaded warden(s). “Rather than just allow drivers to park on double yellow lines, a thorough review of the lines would be more effective. Many double lines are there for historical reasons and could be lifted. Maybe, if everyone uses their ‘loaf’ we can look forward to even more changes in the future? 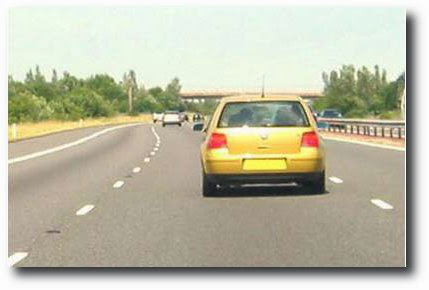 How many times have you cursed while following a driver hogging the middle or outside lane of a motorway? Alternatively, how many times have you looked into your mirror and focussed on a blur of metal as an impatient driver tailgates you before you have the chance to move back into the inside lane? Thankfully, in theory at least, from today things might begin to change. The Transport Minister is planning a crackdown on those he describes as antisocial drivers. In the past, prosecutions have been costly and time consuming to process. However, following today’s announcement, police traffic officers are to be given the power to issue roadside fines of £100, and up to three penalty points, to anyone they consider is in breach of the Highway Code. If you have been ‘tailgating’ or ‘lane hogging’ for a distance of more that half a mile, you are very likely to become a candidate for their attention. Edmund King of the AA said that such offenders had been voted as the most hated types of drivers in a recent poll. He did however point out that the threat of fines alone would not solve the problem; tougher enforcement of the new law is also needed. But……do bad habits ever really die? Making deliveries in built up areas is already enough of a challenge for professional drivers who are constantly having to ‘duck and dive’ from the attention of civil enforcement officers, who in turn, are often intent on filling a daily quota of tickets written, and subsequently fines collected for their employer, the council. Many potential shoppers are deterred from providing much needed business for struggling High Street stores because of the restrictions imposed, and high parking fees charged, by many of those councils. They would instead, prefer to drive to the free parking out-of-town sites. It seems, though, that things could be about to get even worse – if the councils get their way. They have told MPs they want the restrictions which limit their fine revenues, and which require them to spend it on road repairs, to be lifted, so they can dispose of it any way they want. They also demand to be able to enforce even more restrictions on parking and an increase in the fixed penalty fines handed out to those caught offending. Eric Pickles, the Local Government Secretary, has urged councils to end their “over zealous culture of parking enforcement” which he claims is damaging the High Streets and small businesses. It’s going to be interesting to see who’s argument eventually wins the day, but there is one thing it seems won’t change – those of us who make our living from driving are still going to have a tough time doing our jobs. Has Driving Become Russia’s New Roulette? In Russia, where it is not uncommon to be involved in a road accident caused by extreme weather, drunken drivers or the odd low flying fighter jet, motorists have taken to using dashboard mounted cameras (Dashcams) to help provide evidence when making a claim. They provide some fascinating footage. While they may never catch on in the UK, they at least provide some amusement for your coffee break! Should We Jam The GPS Jammers? The use of GPS technology over the last few years has revolutionised the way many of us run our businesses and also our lives. Within the transport industry it has made tracking of consignments more accurate and enabled better time keeping, and job planning, for our customers. In theory at least, it has also made it easier to monitor the driving hours of staff, ensuring they are adhering to the Driving Hours Regulations, and they are taking the necessary breaks within the prescribed hours. However, like all surveillance technology, it doesn’t take long for someone to come up with a workaround to disrupt its accuracy, or use. In the case of GPS, it’s the easily obtained GPS jammer, which plugs into a cigarette lighter and can effectively surround a vehicle with a 500 metre signal free ‘bubble’. The vehicle’s transmitted signal disappears just as if it has been driven underground. While ‘jammers’ are not illegal – anyone has the right to own, sell or purchase one – they do contravene the Wireless Telegraphy Act when being ‘knowingly’ used to block a GPS signal. Ofcom, the communications watchdog, is now looking at ways to close loopholes in the law. 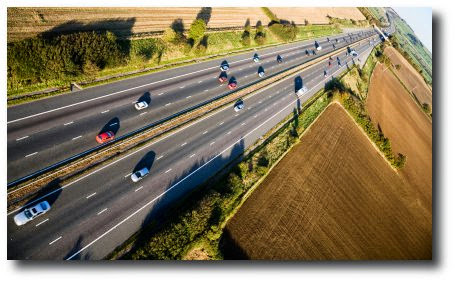 As jammers would also provide drivers with an ability to avoid charges from future toll road tracking systems, or pay as you drive insurance schemes, it seems very likely that the government will do everything to guarantee Ofcom’s success. Is it all really worth it? Mobile Temptation And A Costly Fine. The New Realities Of Speeding! On Yer Bike! – Time For A Truce?